Anyone who lives in Arizona is already aware of the amazing natural attractions that make this state so special. From high desert mountains to incredible sunsets, Arizona has it all. While some attractions of obviously visible to the naked eye, others are hidden treasures that one must seek out to truly embrace. This is how the Kartchner Caverns have kept their beauty for so long. Quietly nestled beneath the earth, this state park was founded in 1974, and has welcomed visitors to explore its cave systems ever since. As it turns out, USA Today recently reported Kartchner Caverns State Park in Benson the #1 Best Arizona Attraction on the 10Best Readers’ Choice Awards. Naturally, the Grand Canyon is one of the Natural Wonders of the World, and it certainly does its job drawing in audiences from all over the globe. With all its majestic qualities, have you ever wondered what lies beneath these massive structure’s surface? In fact, one of the most intricate cave systems available for tours is awaiting your arrival. 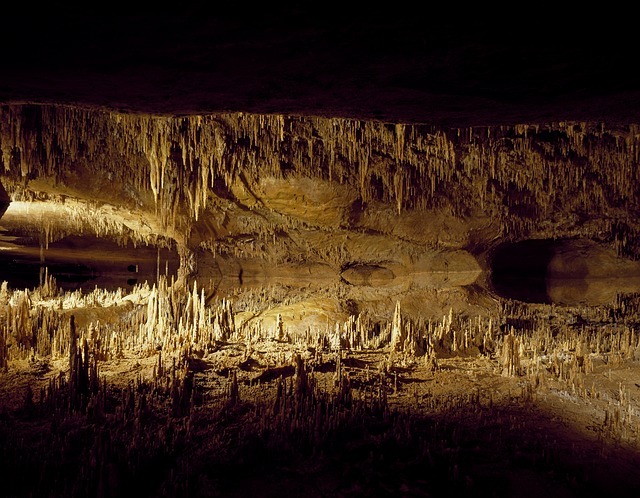 With each passing day, the cavern grows, as dripping water lands upon the existing mineral deposits. As you meander from one cave to the next, you’ll see some of the world’s most amazing natural creations, including Kubla Kahn – the tallest column in Arizona – and one of the longest soda straw stalactites in the world. This phenomenal cave creation even topped the Apache Trail, Historic Downtown Flagstaff, and Tombstone. It’s no wonder that people who live near the caverns’ State Route 90 entrance consider themselves lucky. There’s an entire world of incredible natural architecture just waiting to be explored, and residents of Marana and Tucson have these distinctive features available at their fingertips. Not everyone can say they live near the state’s #1 attraction. Are you ready to explore everything Arizona has to offer? If you’re someone who loves adventuring into the great outdoors as much as you love high-end luxury living, Marana, Arizona is calling you home. Come see what our single-family customizable and custom-built homes can offer your family today! USA Today recently reported Kartchner Caverns State Park in Benson the #1 Best Arizona Attraction on the 10Best Readers' Choice Awards.